Chicken pox, also referred to as Varicell disease, is classified as an infectious disease that particularly strikes children. However, chicken pox can affect persons of various ages and often does. Statistics indicate that over four million individuals in the United States alone are diagnosed with chicken pox annually and the incidence for chicken pox in many other countries remains much higher. The hallmark symptoms of chicken pox include an itchy rash, fever, and headache. The rash tends to look like blisters and can most usually be found on the face, trunk, and sometimes the scalp. However, the rash can also spread to other areas of the body, including the eyes and mouth. Sore throat, chills, and profuse sweating may also accompany chicken pox. While many of these symptoms subside within ten days, serious complications resulting in hospitalization and even death can occur. One of the most common complications of chicken pox is skin infection. The rash is extremely uncomfortable, causing itching and pain. Young children are especially prone to scratching, which can cause breaks in the skin. This allows a portal for microbes and other infectious disease. Once the chicken pox virus enters the body, it remains there and can also give rise to shingles later in life. One complication of chicken pox called Reye’s syndrome can easily be avoided by not administering aspirin to those with chicken pox. Dehydration can also become a concern with chicken pox, especially if the child has blisters in his or her mouth. Ensuring adequate fluid intake can prevent dehydration. Adults suffering from chicken pox are at an elevated risk for both pneumonia and encephalitis. In rare cases, permanent neurological impairments have been known to occur. Other than Rye Syndrome, liver damage is possible. 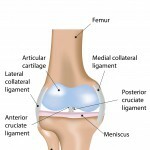 However, the inflammation is usually short term and will gradually go away. Chicken pox or Varicella disease is transmitted from person to person. Vaccination, avoiding contact with respiratory secretions, and limiting exposure to those lacking sufficient immunity can reduce the transmission of chicken pox. Immunity to the disease is permanent once exposed via vaccination or infection. As previously mentioned, chicken pox can cause a variety of complications. 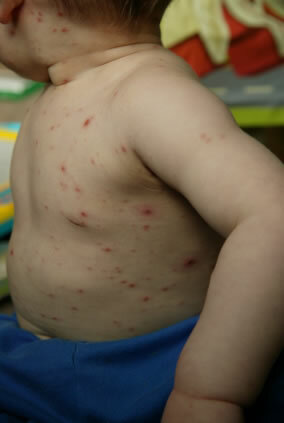 Scarring is likely with chicken pox and will depend on the severity of the virus. Refraining from scratching and allowing the scabs to fall off can help reduce scarring. Children usually make a full recovery from the disease and the majority of complications are most prevalent in adults. Chicken pox remains dormant in the body and symptoms can resurface at anytime in life. This most often occurs later in life and/or when the immune system is lacking. The most common recurring complication of chicken pox is shingles. Shingles is characterized by severe pain and a rash that eventually develops into small blisters filled with fluid. Unlike chicken pox, the symptoms can last a month or more. During an outbreak of shingles, the individual can transmit the virus to others. Chicken pox is caused by the Varicella Zoster virus of the Herpes family. While there is no cure for this disease, it can often be prevented with vaccination. The Centers for Disease Control and Prevention recommends that children between the ages of twelve months and twelve years should have the vaccination in two doses, three months apart. Children over the age of twelve should have two vaccinations within a couple weeks apart. Adults of high risk, such as the elderly and the immune compromised are also candidates for the Varicella vaccination. However, those that have previously contracted chicken pox or have had shingles do not need vaccinated. Chicken pox infections can still occur despite vaccination. However, those who contract the disease after vaccination will typically have a shorter, milder duration of chicken pox. As with any other vaccination, there are some risks to the Varicella vaccination and it is not recommended for all persons. Pregnant women, patients undergoing chemotherapy and/or radiation therapy, those who may be allergic to the vaccine, seriously ill individuals, and anyone who has received a blood transfusion or blood products within the few previous months are not good candidates for vaccination. Persons suffering from mild illnesses can still have the vaccination though. Complications can easily be avoided by discussing the previous medical history with the physician. Side effects of the Varicella vaccination are typically quite mild and may not occur in all individuals. The most common side effect noted is redness, swelling, and inflammation at the injection site. This is only temporary and typically goes away within a few days. Other side effects include fever, rash and/or bumps following the vaccination and occur in less than five percent of vaccination recipients. 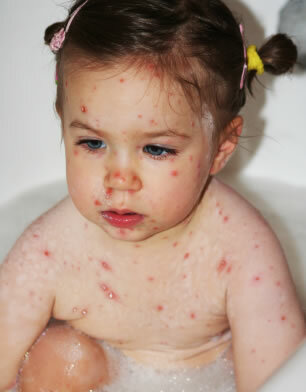 In some rare cases, chicken pox has been transmitted from the vaccinated individual to others. Infection with the virus has occurred in only a small number of those that have been vaccinated. Serious side effects that are even less common include allergic reaction, encephalitis, seizures, and pneumonia. However, there is no evidence to indicate whether or not these reported incidents were actually caused by the chicken pox vaccination. The benefits of the vaccine outweigh the possible risks. Those most at risk for contracting chicken pox include those without sufficient immunity. This includes persons who have not been immunized and who have not had the disease. Infants, pregnant women, and those with weakened immune systems and/or certain medical conditions are also at high risk for the Varicella virus. Coming into contact with persons suffering from chicken pox significantly increases the chance for these individuals to contract the disease. Certain geographical populations are also more prone to chicken pox outbreaks due to lack of herd immunity. For this reason, unvaccinated travelers are also considered high risk for contracting chicken pox. Another important risk factor is receiving an organ transplant. Transplant recipients are at high risk for developing not only chicken pox if not previously exposed, but developing shingles. Chicken pox can be diagnosed via a blood test. However, this is not usually necessary. 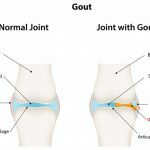 Signs and symptoms alone are often sufficient enough to diagnose this disease. It is important that the child or afflicted individual be diagnosed by a licensed health care worker to rule out other conditions or illnesses. Shingles may also be quite easy to diagnose clinically but a test known as the immunofluorescence assay test is a quick and convenient diagnostic tool most commonly used to detect Varicella when shingles is suspected. The treatment for Varicella disease is mainly symptomatic. Reducing pain, fever, and promoting comfort are all considerations. Over the counter pain reliever/fever reducers with the exception of aspirin and aspirin products are typically administered as needed. Acetaminophen, the main ingredient in Tylenol and other pain relievers is most commonly given. A physician may also prescribe topical ointments to relieve itching and/or antibiotic creams to prevent infection. Keeping the skin clean and intact is an important concern, especially in children. 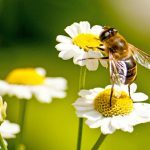 Although there are anti viral drugs available, these are usually reserved for certain individuals. Antiviral drugs are mainly prescribed for adults and those at high risk for developing severe complications associated with chicken pox, those with weakened immune defenses and patients suffering from shingles. Acyclovir, valacyclovir, and famcyclovir are generally the antiviral drug of choice for the Varicella virus. Some treatments for chicken pox are non pharmaceutical; these also are used to promote comfort and manage symptoms. These treatments can consist of herbal supplements, plant extract, and vitamins. Since these products are not regulated by the Food and Drug Administration, it is recommended that a physician be consulted before attempting these alternative treatments for chicken pox. 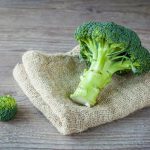 Vitamins believed to be beneficial to those suffering from chicken pox include vitamin B-12, vitamin A with beta carotene, and vitamins D, E, and K. Advocates of this natural remedy for chicken pox note the properties of vitamin A and beta carotene to the skin and in fending off viral infections. B-12 vitamins provide relief by helping the individual to feel better. Although many B-12 vitamins are available over the counter, injections of this vitamin can be provided by a physician. The remaining vitamins D, E, and K assist in the absorption of vitamin B-12 and A, as well as many other nutritional supplements. Precautions should be taken, especially with children before providing vitamin supplements for treatment. Overdose of vitamins can have adverse health effects, leading to temporary or permanent disability and/or death. 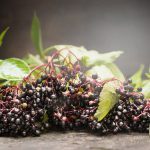 Most herbal remedies for chicken pox are topical mixtures that are safe for most children and adults. One of the most common herbal remedies is to create a mixture of rosemary, comfrey, and chickweed to soothe the skin. The convection is slightly warmed and applied to the skin using a clean cloth. To avoid rupturing of the blisters during the application process, the mixture should be blotted onto the skin gently. 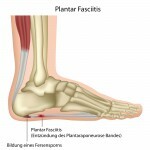 The herbs are applied as needed to soothe the itching, pain, and burning caused by blisters. There are a variety of lotions and gels over the counter and by prescription that may be used to treat chicken pox. Aloe Vera, Calamine lotions, Oatmeal pastes, and similar concoctions are used topically to promote comfort. Some may even be used in bath water or directly from plants, especially extracts such as aloe. Products similar to the Calamine lotions typically have antimicrobial properties to help prevent infection and reduce itching and inflammation of the skin. The cost of treatment for chicken pox will vary depending on the methods implemented. Lotions and gels can typically be purchased from major retailers for under $10, while others can be safely and effectively made at home. 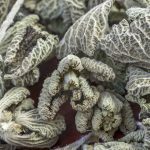 Some herbal products may have to be purchased at specialty stores and costs will vary. Alternative treatments for chicken pox can provide relief of symptoms but is not recommended for everyone. Overdose, allergic reaction, and/or infection can result. Those with specific plant allergies, small children and infants, those with a compromised immune system should not undergo these treatments without first consulting their primary caregiver/physician. Chicken pox is caused by a virus, as with any other viral illness, it must run its course. There is no cure for chicken pox. Treatment should revolve around promoting comfort, and preventing complications such as dehydration and infection. Drinking fluids, getting plenty of rest, and avoiding skin abrasion are crucial to those with chicken pox. If symptoms do not improve within ten days, a physician should be consulted. Immediate medical attention may be required for fever over 104 F, when dehydration is suspected, changes in mental status, or if the symptoms become progressively worse. To help prevent the spread of the disease, exposure to infected persons should be limited. Also what should be pointed out is some of the information is absolutely incorrect. Vaccines do NOT equate immunity!! Much to what Ms. Wang states, vaccines are not the same as having wild viral or bacterial infections. I’m also fully vaccinated & I contracted chicken pox at 28 yrs old (I received the vaccine the year after it was out, I was 11 yrs old, according to her article that means I should of been protected for life…not so much. And I had an extremely severe case) & my diagnosed chicken pox came from an M.D. who also explained to me when the details of my exposure came out-it occurred at a nursing home & as a paramedic I was responding to a resident in cardiac arrest, she was beyond resuscitative measures and was just diagnosed a week ago with it. She ultimately developed sepsis from untreated chicken pox as she was on no antibiotics for preventative measures and also no antivirals to attempt to decrease the severity. The doctor I saw, an older gentleman, who was very intelligent, explained to me about vaccine efficacy & How It doesn’t mean you’re 100% protected & it should be considered false advertisement. He also told me that the shingles vaccine is one that is pushed extensively on staff who work in nursing homes & being that both chicken pox and shingles vaccines are live virus vaccines & are capable of shedding for up to 21 days post-injection. The shingles vaccine is also just a very potent chicken pox vaccine, in fact, it’s 14x the potency (yes, FOURTEEN times STRONGER). This doc told me that no doubt I caught this from a shingles vaccine shed. The bet thing is to let your kids get chicken pox. Then they will be immune for life, just as I am. I had the chicken pox as did most everyone in my generation born in the 50’s. I don’t know of anyone that died having the chicken pox, although I have heard of children being damaged from the vaccine.